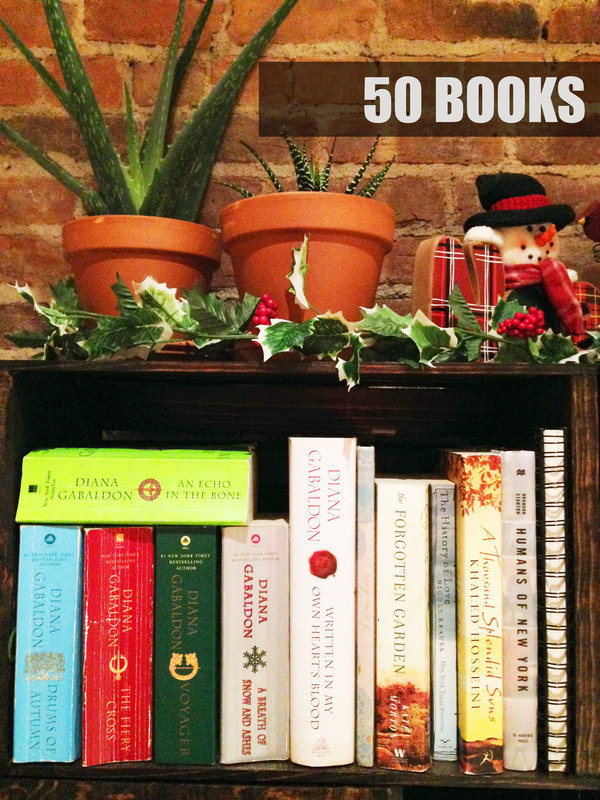 In 2014, I decided to start a new personal challenge of reading 50 books in 1 year. I read 10. Needless to say, I didn't quite meet my goal like I wanted too, but I did acknowledge that it was an aggressive goal to begin with. I swear, in 2013 I read at least 25 books, so I thought 2014 would be no problem. But then, I discover Outlander, and was hooked to all 8 of those glories 1,200+ page books. It took me 10 months to finish, but I did! I've read two other books since then. The latest one I still need to blog about, so look out for that soon. I've decided that for 2015, I'm still going to stick this goal out. I want to finish reading 50 books. Heck, maybe I'll even finish this year! ;) What I love most about this is that it's my first project oriented goal (if you can call reading a project). And I'm determined to finish it. I also just really love to read, so this is the perfect excuse reason to continue carving out time specifically for reading. The Goldfinch by Donna Tartt- I'm 60% done with this book. So far, it's terrific writing, but the plot moves a little slow. I was told it picks up in the end, so I'll finish this out. What books are you reading? Do you have any other suggestions?